OVERNIGHT Australia's first National Heavy Vehicle Regulator was given more powers by the Queensland Parliament. The Heavy Vehicle National Law Ammendment Bill was passed with bipartisan support. 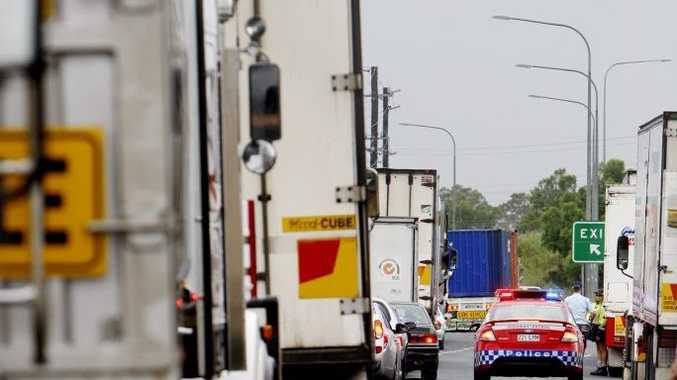 Queensland Minister for Transport and Main Roads, Scott Emerson said now national truck laws were expected to apply in the majority of states and territories by the middle of the year. Minister for Infrastructure and Transport Anthony Albanese has released a statement saying this "watershed moment" for Australia's transport sector and capped off more than five years of intensive negotiations between Federal, State and Territory Governments. "The heavy vehicle regulator is a key part of the Federal Labor Government's transport reform program, to reduce 23 state-based maritime, rail and heavy vehicle regulators to just three," the statement said. "Together, these national transport reforms are expected to add $30 billion to our economy over the next 20 years. "The Brisbane based regulator now has responsibility for registration and regulations covering all heavy vehicles over 4.5 tonnes." A universal interpretation of when drivers should start counting driving hours from rest breaks within a 24 hour period, eliminating the confusion around existing fatigue laws. "The heavy vehicle sector is the lifeblood of our economy and streamlining the laws and regulations that govern this sector will cut red tape, reduce costs, improve safety and enhance efficiency." ATA Chairman David Simon congratulated Queensland Premier Campbell Newman, Mr Emerson, federal transport minister Anthony Albanese and the other state and territory transport ministers on the historic milestone. "It's now time for the other states and territories planning to join the national scheme to press on with their own legislation," David said. improve safety with consistent chain of responsibility enforcement. At the same time, the amendments passed yesterday will help fix serious concerns about fairness raised by the ATA.